Super-Slots is probably the best traditional Slot Machine around. Easy to play and learn with the Hold and Nudge features that we all know and love. Will you hold out for a big win and will you nudge the right reels? The traditional game of Matching Pairs that we all used to play with cards. 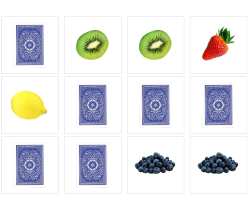 The difference here is that the cards have pictures on them and we can add more ganes as we go along. Any ideas or suggestions? There is, of course, a High Score table to give you something to fight for! 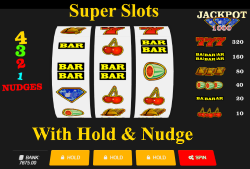 Buzz50 Slots is a traditional slot machine game but with a lot of differences just for our site. One of the many fun things about the Buzz50 Slots is that the reel images can change depending on what is going on at Buzz50 at the time! There will also be 'Special Features' which will be announced from time to time. The Buzz50 BlackJack game is a version of the traditional '21' game but made just for our site. Can you work out a system to beat the dealer? Card games go back hundreds of years and BlackJack is one of the originals! Place Guesser ia an amazing game using the power of Google Street View. Choose either the World map or one of the various country specific ones. 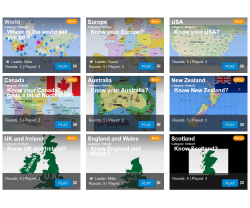 If you would like to suggest a country for a new map then please PM Mike. 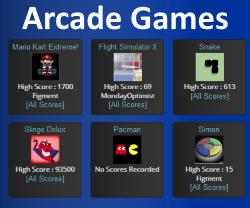 There are High Scores and Leader-boards. Not suitable for iPads or smartphones - sorry! The Buzz50 Arcade Games are a collection of old favourites including Snake, Simon, Space Invaders and Mahjongg. Each game that you play will cost you 10 Buzzer Points which go towards helping with the upkeep of our free site! You don't win anything with these games but they are a great way to while away an hour or two!